As an artist, how do you stand out from the crowd? As I stumbled through hashtags on Instagram one day, blindly search for inspiration, I spotted Esther. 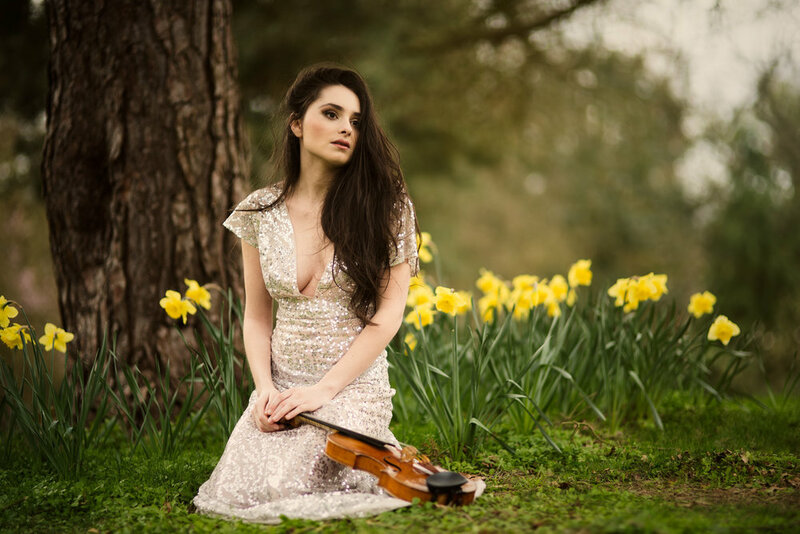 Drawn in by her captivating modelling, I discovered the rest of her portfolio reflected her life as a phenomenal violinist. 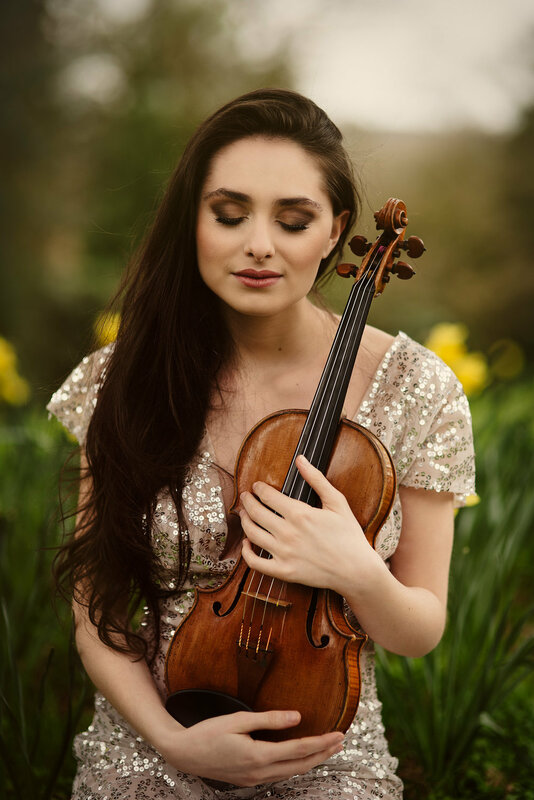 With a fondness for classical music, partially born out of Mozart in the Jungle, I was blown away by the sounds in her videos. 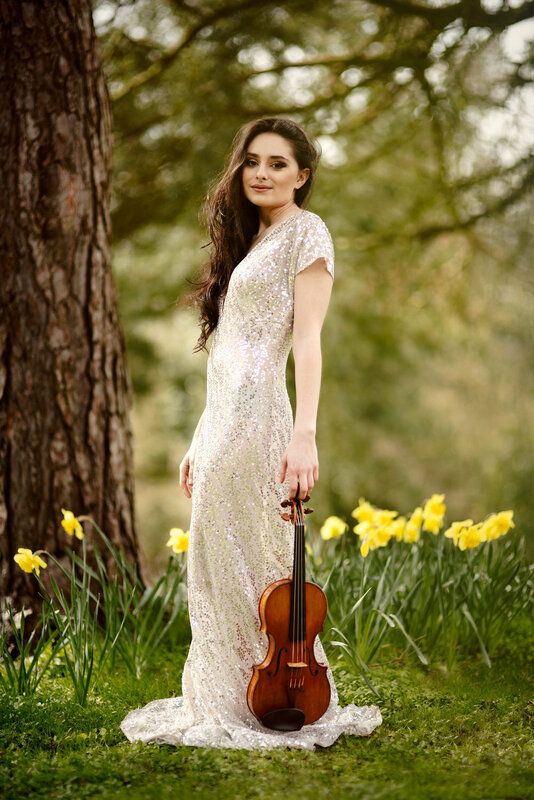 Esther is a multi-award winning violinist, having trained at and represented London's Royal College of Music around the world. Her modelling portfolio and extensive social media following has seen her become an ambassador for many brands such as GEWA, D'Addario Orchestral, Yves Saint-Laurent and Lancôme. I figured she must get requests from photographers all the time, so I needed to catch her attention. So I sent her an email asking if she'd like to play a violin underwater. Miraculously, she replied 'yes'. 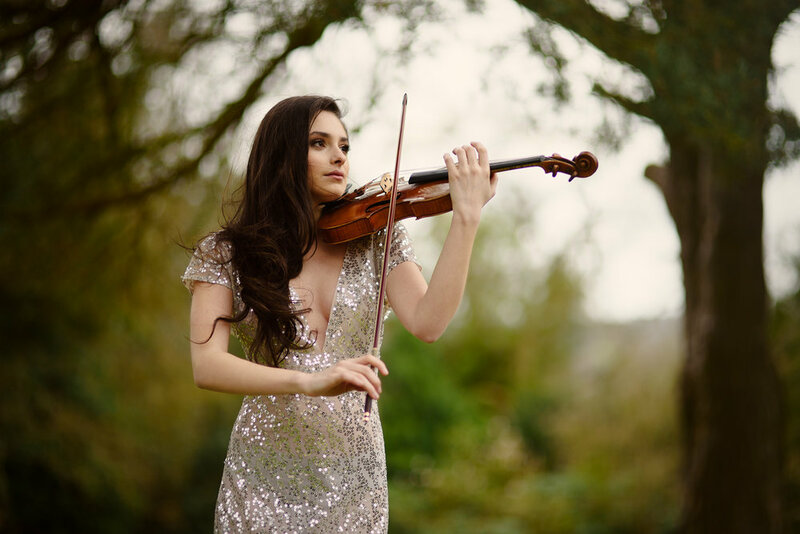 Esther Abrami playing her violin, with dress by Mishi May and makeup & hair by Kerstie Ann. I set about finding a team to make my vision a reality. I had a distinct idea in mind and began my search for a designer, makeup artist and lifeguard. A recommendation from friend and photographer Ana Isabel led me to Mishi May, a dress designer and seamstress with one of the most incredible portfolios I had seen. Molly's couture fashion and bridal wardrobe has been adorned in many stunning editorial shoots such as Walter's Wardrobe, so I never expected her to agree to collaborate with me. Let alone send three incredible dresses that she believed would look best underwater! Esther Abrami and her Carlo Giuseppe Testore of Milan violin, dated ca. 1700, label Giovanni Grancino. This is the first of three dresses by Mishi May, with makeup and hair by Kerstie Ann. Even rarer than underwater photographers and models, are underwater makeup artists. Everything changes beneath the surface, from colour to clarity, so finding someone experienced and willing to experiment was key. Thankfully I found Kerstie Ann, a local makeup artist and hair stylist with years of experience working for brands including Bobbi Brown, Lancôme and Clarins. She made herself available to craft two stunning looks - a natural look for the 'dry' shots and a stronger, bolder look for under water. Listening to Esther play as I photographed her is one of the highlights of my photography career. Next, I needed an extra pair of eyes and hands. Having someone watch out for Esther's safety in the pool, besides myself, was a priority. Also, time would be tight on the shoot, so any extra assistance was going to be greatly appreciated. I was very lucky to be recommended Matt Worthington, a local multi-award-winning filmmaker who also happened to be a lifeguard. Perfect! Thankfully he agreed to assist my rather-crazy vision. Last but not least, I needed water. Landlocked about as far away from the British sea as I could get, I'd searched for a suitable pool for months. The hunt was surprisingly difficult. I was preferably looking for a private, heated, indoor pool that wasn't extortionate to rent in the south of England. I found many pools that were public (no privacy), unheated (cold), outside (no privacy & cold), expensive (£120+ per hour) and further north (very inconvenient for Esther and I). I even scoured Google Earth for houses with covered pools that I could potentially request to rent. I contacted private swimming schools asking to use their hosts' pools. Posts on social media didn't reveal anything new, until one comment led me to The Poolhouse near Sandy. Advertised only on Facebook, this commercialised private pool had evaded my hundreds of Google searches, until now. Esther's make up and hair was applied and styled by Kerstie Ann, who crafted seperate looks for the 'dry' and 'wet' environments. The morning of the shoot finally arrived. As we made our way to Sandy after meeting at Milton Keynes train station, Esther quickly replaced one of the strings of the violin I had bought on eBay a few weeks prior. There was no way Esther's 300 year old Carlo Giuseppe Testore of Milan violin was going anywhere near water. We met Kerstie and Matt at The Boundary Cafe, just down the road from the pool. Molly sadly couldn't join us but had sent the dresses in the days before. As we munched on a delicious breakfast, we commandeered a small section of the quiet cafe. I was gratefully surprised to see Matt filming the morning unfold, considering I hadn't asked him to. As I showed Esther the three dresses she'd be wearing, I couldn't help but feel pretty damn excited. With make up applied, hair styled and dress donned, we made our way to the pool. We still had 20 minutes until our slot started. Just 30 metres from the poolhouse, a plateau of daffodils and trees stood in the spring sunshine. Listening to Esther play amongst the flowers as I photographed her is easily one of the greatest highlights of my photography career. Almost no sooner than we had started, did we have to stop. Makeup & Hair - Kerstie Ann. Assistant & BTS - Matt Worthington.